How to Convert emails from eM Client to PST? If you want to convert eM Client to PST format, then you landed on the right page. This article shows you step by step instruction to convert emails from eM Client to PST for Outlook 2019, 2016, 2013, 2011 and all other below versions of Outlook. After conversion, you will be able to access you eM Client emails in Outlook. eM Client is a Windows-based email client used to send and receive emails, managing contacts, calendars tasks etc. eM Client supports all major email platform but these are fully supported: Apple Server, Ice Warp, and Gmail. PST stands for Personal Storage Table. It is a database file used to store emails, attachments, contacts, calendar, tasks etc. This file format is used by Microsoft Outlook to store email data. How to Convert eM client emails to PST format? Step1. Launch eM Client and click the Menu button then select the export option. Step 2. From Export box, select “Export .eml files” then click the Next Button. Step 3. Select desired mailbox folders. Step 4. Select Desired output path and hit Finish Button. This is how you can export emails from eM Client. 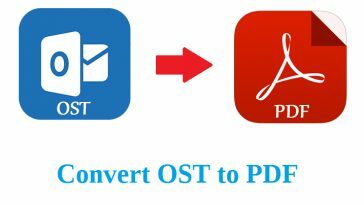 After exporting EML file you need to download and install Advik EML to PST Converter tool. This software has the simplest user interface which makes it easy to use for all kinds of users. Step 5. launch Advik EML to PST Converter tool. Step 6. Add Folder having Email files from. Step 7. Click the Convert button. All Done, The tool will then convert multiple .eml files to single PST file within a short frame of time. Hope this article helps you in solving your queries related to eM Client to PST Conversion. You can also download this software for free to check it’s efficiency. Next article How to Migrate OST to PST in Few Steps? How to Migrate OST to PST in Few Steps?